We are going to have our final exam week at the end of February, so it's about time we start to prepare the oral practice every morning, and to train ourselves do quality service as well as quantities. Meanwhile prepare most of the tools we may use during the final exam, also for future works. 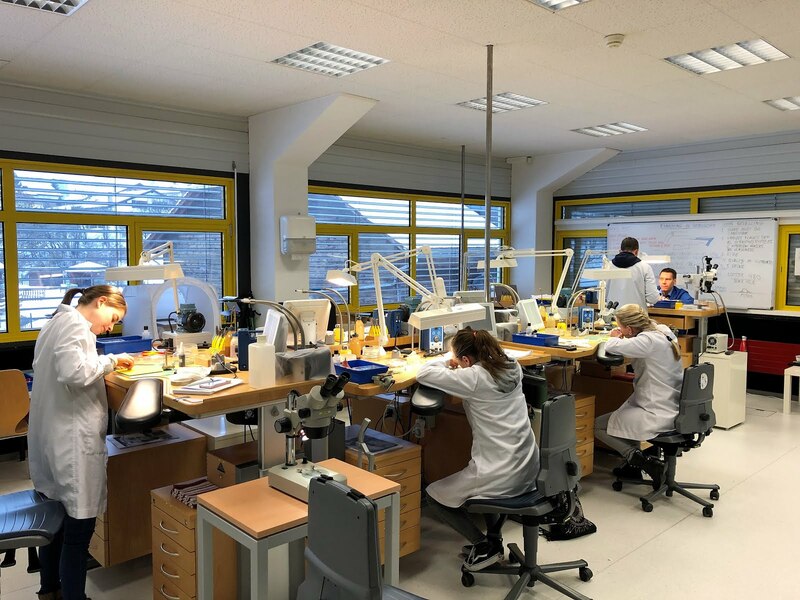 This week we are very glad to have Armin Strom team come to our school for two days specialized course, as well as sharing various ideas about finishing and decoration in watchmaking. What a wonderful experience, passionate and fun at the same time! Hand lever from Sif, with nice polish. 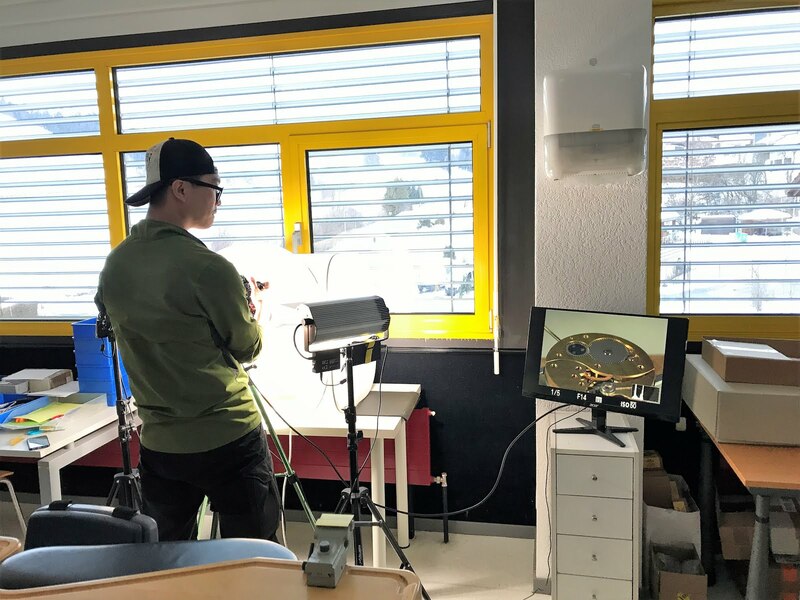 Our photo studio in the school. School watch from CJ, with classical bimetal cut balance with blue steel Breguet hairspring. Will do final finishing after final exam. This week we had some interesting projects but also we had a bench tester (Alex) that surprisingly is from Taiwan, maybe he will continue the Taiwanese legacy here in the school in the next group, then it would be 3 groups in a row with someone from Taiwan. Here we have a tiny little hair that was messing up the timing in the dial down position but no other positions, so if your timing doesn't make any sense make sure you check your incabloc! Yiting was cutting a wheel for her school watch. Let's make sure that you will get the same position back! 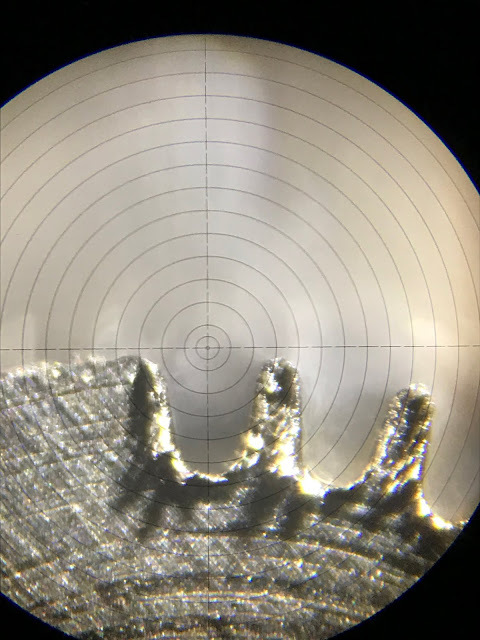 This is an old cannon pinion (lower one) that Yiting used as a reference, she made a smaller one from the older one that fitted better in her school watch. Here she is finding the center distance of the cannon pinion and the wheel that she was cutting before. CJ making some magic for the school watch. 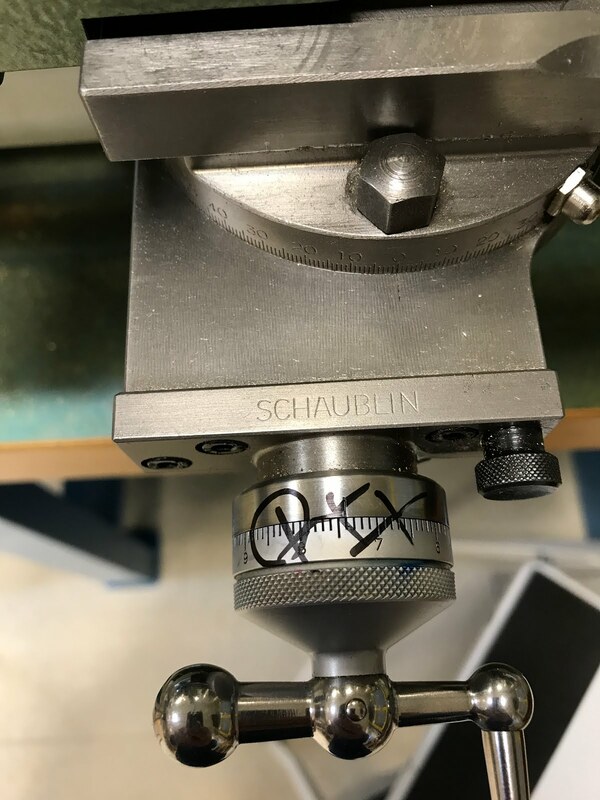 Sif is making some levers to be able to lift the hairspring collet higher up on the balance staff to fit it better under the bridge.